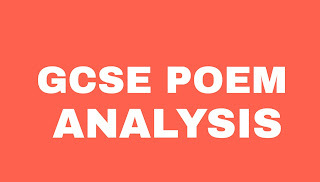 We're going to analysis about a very interesting poem written by Patience Agbabi and it's called Eat Me. The first thing I want to refer to is the way that this particular female is spoken of as somebody who follows instructions and how the poetry is shaped to illustrate this. 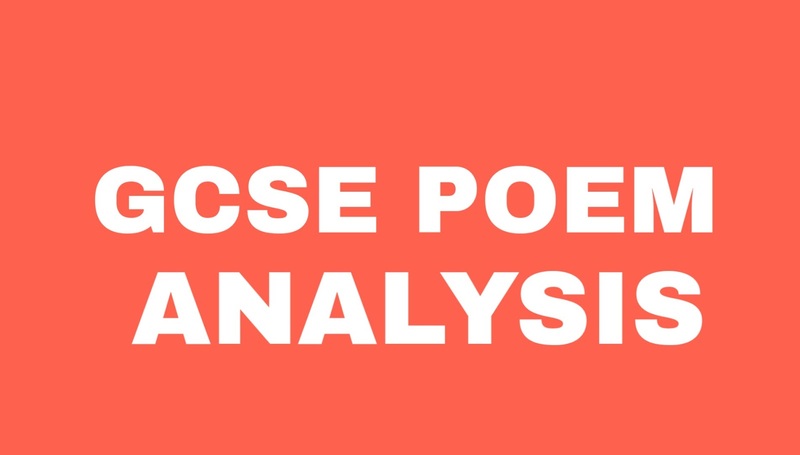 So, for example, the second stanza we have the icing was white but the letters were pink 'they said eat me and I ate did what I was told didn't even taste'. It so here is an illustration of her blindly following instruction. She ate and she didn't taste. The whole purpose of eating a birthday cake is to enjoy the taste enjoy the experience but it slips down in rather a meaningless way. Her willingness and her ease with which she follows these instructions is illustrated by the enjambment all in this stanza line two 'runs over and I ate due to what I was told'. There is a sense that there is an automatic running of following instructions that she obeys here and the form of the poetry there and highlights that. Similarly, in the next stanza, we get more in enjambment 'then he asked me to get up and walk around the bed so he could watch my broad belly wobble'. There again there is a sense that she doesn't even pause or consider not following the instructions. So the woman who is presented as someone who automatically does what she is told she is very disempowered certainly at the start of this poem. And another aspect of the presentation of women is how she is owned here in this poem by the man. This is very obvious through the use of the possessive his. So we have 'I was his jacuzzi, his breadfruit, his desert island' the idea that she is owned and manipulated by this man. The dominant his splattered throughout this poem and shows how through her life she is viewed as a possession here in a very sinister and unpleasant way. She is defined by being compared to objects, therefore, objectified objects that he owns and he enjoys. The next way that she is presented as a woman out in the wider world someone who is observed by people for her weight and size. I think this is done very cleverly in this poem. We have this stanza 'too fat to leave too fat to buy a point of full-fat milk too fat to use fat as an emotional shield too fat to be called chubby cuddly big built'. This stanza is one that shows what society thinks of particularly women who are larger than a normal size. The reference to buying a point of milk and everyday occurrence she feels that people are watching her and judging her because she's buying four fat milk and this is a reference to the judgmental attitude that women often feel about their bodies and about the way society looks at them. This repetition of 'too fat to, too fat to' echoes the repetition that of the voices that she hears everywhere she goes someone is thinking or saying she's too fat to. And it also shows this is her internal monologue that she even suspects for herself that there's a sense of guilt or I'm too fat to do this too fat. This brings us to the notion that this is a dramatic monologue in its form it's written in the first person and there is a term here of the woman seeking sympathy and seeking a listener seeking a friend and also perhaps a confessional tone seeking either a congratulation for her actions at the end of the poem and for surviving or perhaps a judgement for her actions ultimately in this poem. And she it is implied resorts to cannibalism. She eats her partner because there is nothing left to eat and there is a dark side to this as well as a darkly comic side to this. So with this in mind her eating her partner I think another way the imagery running through this poem another way that woman is presented is a receptacle for the attention and the physical side of a relationship. She turns into a receptacle for the man at one point she says she was his jacuzzi something that he could submerge himself into. When the man is quoted he refers to burrowing inside girls that is what he wishes to do. And this is quite explicitly referring to his sexual desires and we also have the image of him pouring olive oil into her mouth and again she is a submissive empty receptacle that depends on the man for fulfilment. However, towards the end she becomes the ultimate receptacle and she turns the imagery and the notion of being a receptacle for the male into something rather assertive. And for her perhaps positive she becomes the ultimate receptacle she eats him and she ingests digests his body. If that is the reading of the poem that we are to pursue this that she does do this which i think is fairly clear from the line 'there was nothing else left in the house to eat'. Another way that was retouched on this slightly another way that her size is presented in this poem is through the way the poem sounds. We have a lot of alliteration focusing on her belly and the actual physicality of her flesh. She walks around the bed, her broad belly wobbles, her hips judder like a juggernaut the bigger the better he'd say. All of this alliteration mimics the kind of wobbles in us of her belly and that's simile Jagger's judges like a juggernaut. A very heavy lorry a very heavy caravan of people in the past a juggernaut has been used to describe she juggles like that. So you can hear through the alliteration the sound of this poem. The physicality of the difficulty of moving and the waddling wobbly motion of moving. So in some ways, as you can see the presentation of a woman in this poem is rather negative. It shows a woman who has been oppressed by society feels oppressed by her body by her age. She starts off at 30 after 10 stanzas she's approaching 40 he whispers this to her. Her body image is a sensual way that this woman is presented. However, I do feel there is a positive side to this in the way she tackles this in the way she stands up and creates the monologue creates the humour and ultimately triumphs over this man.